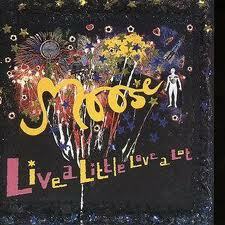 Moose were formed in London in 1990 when record and tape exchange colleagues Russell Yates (guitar and vocals) and Kevin ‘Moose’ McKillop (guitar) decided to channel their common love of all things Gram Parsons, Laura Nyro, Alex Chilton, Kris Kristofferson and Tim Buckley into their own nascent compositions. 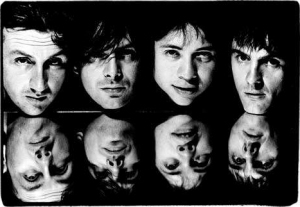 Damien Wharburton (drums) and Jeremy Tishler (bass) completed the line up for the band’s first shows in Windsor and at London’s ULU in the summer of 1990 and soon Moose soon built a solid reputation by supporting bands such as Milk, Fatima Mansions and Chapterhouse. 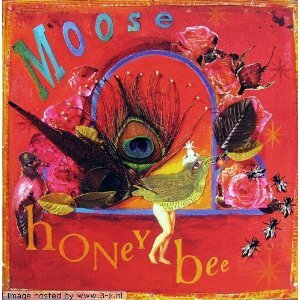 Rumour has it that after witnessing only Moose’s third ever gig Pixie’s bassist Kim deal begged the band to let her produce them. 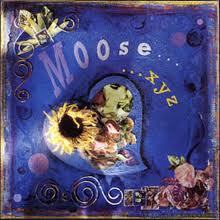 After signing to Hut Records Moose released a series of EP’s to no little critical acclaim but minimal commercial success and the band decamped to Play It Again Sam Records where they released their debut long player ‘XYZ’ in 1992. 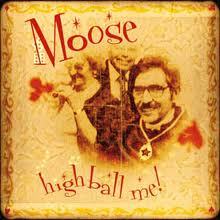 Two more albums, ‘Honeybee’ and ‘Live a Little, Love a Lot’, followed on hard by but it would be five more years before Moose’s final release ‘High Ball Me!’ would see the light of day. "...the result is like nothing you've heard, right up there with Spiritualized's Step Into the Breeze in the annals of latter day bliss rock.